SPARKLE CLEANING CONTRACTS is a fast, reliable and affordable residential window cleaning team. In order to get your home looking it’s sparkling best, your windows need to be crystal clean. There is no point in having a view overlooking beautiful BELFAST, if your windows are covered in grime and bird droppings! Our residential window cleaners will have your windows shining in no time. It is often only after your windows are cleaned that you notice how dirty they were. You will enjoy the view, and it will give your home a nice, fresh look. Residential window cleaning is something that most people dread doing. We can remember those time ourselves. DOES YOUR CURRENT WINDOW CLEANING COMPANY ONLY CLEAN THE GLASS? If so, why? We clean the frames, sills, doors and surrounds (not forgetting the glass). Getting it done is well worth the effort, when you see the end result. DOMESTIC WINDOW CLEANING – WHY GET YOUR HOUSE WINDOWS CLEANED? Most people don’t know how dirty their windows are until after they are cleaned, and then they see the difference. Windows are one of the few aspects of a residence that, with a professional clean, can add elegance and beauty. 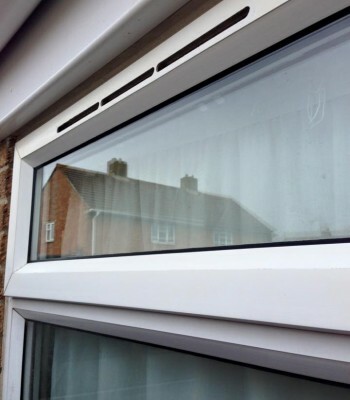 Following the construction and renovation of homes, it is recommended to have a professional window clean carried out, as grit and dust can scratch and damage windows resulting in large bills. Windows are the primary source of natural light in the home. One of the benefits of natural light is that it hides stains in carpet and upholstery. Ever wonder why your carpets look dirtier at night? Use natural light to your advantage and get it streaming in to your house through your clean windows. Also during winter, get that natural warmth streaming in through clear windows. Regular window cleaning and window maintenance provides cheaper maintenance in the long run as it protects the glass from degradation and mineral build-up. It can also lengthen the lifespan of window frames and doors. Whatʼs the point of having a view if it is dampened by dirty windows? If your house is on the market, take every advantage that you can for that investment of yours and get that place sparkling. Residential Window Cleaning Services in GREATER BELFAST, LISBURN, MORIA, GLENGORMLY, HOLYWOOD, CARRYDUFF. Having a professional residential window clean before an auction, valuation, FAMILY PARTY or inspection at your home is one of the smartest decisions you can make! The financial outlay for a window clean could be as little as a £10.00 but peace of mind is well worth the cost. Even if you think your glass looks OK, getting it professionally cleaned will make a tremendous difference. It will make your home look far newer and fresher. It makes sense because windows let light in which illuminates the entire house. ARE YOUR WINDOWS HARD TO REACH? DOES YOUR GLASS LOOK TOO DIFFICULT TO CLEAN, BEYOND ALL HOPE? If you think you’d like to have a go at cleaning your own windows, then please see our page on free window cleaning tips and tricks. If you feel that they are quite tricky or you would like a premium result, then please call us. We have cleaned virtually every type of window that you can imagine! Our window cleaners are adept at working at heights and in using ladders. Generally residential window cleaning does not go above three stories and all that we need to use is our standard poles or ladder, but for higher up windows we can cover up to 60ft. If there is a requirement for higher cleaning then please contact us. WHEN YOU’RE CLEANING MY WINDOWS, HOW WILL MY PRIVACY BE RESPECTED? We have many residential window cleaning customers that are well pleased with our service and so keep coming back again and again. 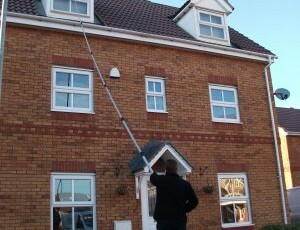 We take great care when carrying out window cleaning in and around your home and will respect your privacy and safety. Our policy is ‘leave it as you found it’! For the best residential window cleaning service in the greater Belfast and Lisburn areas CALL NOW!